When Did Paul Please God? The problem with this passage of Scripture is that many commentators and preachers infer that God called Paul to conversion and apostleship from birth or his mother’s womb. Some even go so far as to say that he was called to these before his birth. I do not believe this is the proper interpretation and therefore is not the truth. There are several facts that we need to get before the reader at the very outset. First, there was a time when God was pleased with Paul. “Pleased” is a first aorist indicative third person plural verb from [ευδοκησεω-eudokeso]. The meaning of this verb is “it seems good to one, is one’s good pleasure; to think it good, choose, determine, decide”—Thayer, page 258. Second, the question is when was God pleased with Paul? He was not pleased with Paul before his conversion because he was persecuting Christ by persecuting the followers of Christ. In this very context, Paul said, “For you have heard of my previous way of life in Judaism, how intensely I persecuted the church of God and tried to destroy it” (Galatians 1:13, NIV). The word “destroy” in the original language was a word used to describe wild animals that mauled defenseless human beings to death in the arena. That was what Paul was doing with the Christian people. The best example of that is when Stephen was put to death Paul held the garments of those who stoned him and gave his vote in favor of his death. We can definitely say that God was not pleased with Paul when this was going on. Third, Paul simply makes two statements about himself and his relationship with God. First he says that God separated him from his mother’s womb. The term “separated” translates from [αφοριζω–aphoridzo], and means “in a good sense, to appoint, set apart, one for some purpose (to do something),” Thayer, page 90. This teaches that God created man and the process of natural birth. Every child born into this world is an innocent human being and birth is an act of God that he created in the natural world. “Beware of dogs, beware of evil workers, beware of the mutilation! For we are the circumcision, who worship God in the Spirit, rejoice in Christ Jesus, and have no confidence in the flesh, though I also might have confidence in the flesh. If anyone else thinks he may have confidence in the flesh, I more so: circumcised the eighth day, of the stock of Israel, of the tribe of Benjamin, a Hebrew of the Hebrews; concerning the law, a Pharisee; concerning zeal, persecuting the church; concerning the righteousness which is in the law, blameless. But what things were gain to me, these I have counted loss for Christ. Yet indeed I also count all things loss for the excellence of the knowledge of Christ Jesus my Lord, for whom I have suffered the loss of all things, and count them as rubbish, that I may gain Christ and be found in Him, not having my own righteousness, which is from the law, but that which is through faith in Christ, the righteousness which is from God by faith; that I may know Him and the power of His resurrection, and the fellowship of His sufferings, being conformed to His death, if, by any means, I may attain to the resurrection from the dead” (Philippians 3:1-11 NKJV). The second statement that he makes about himself is that God called him by his grace. 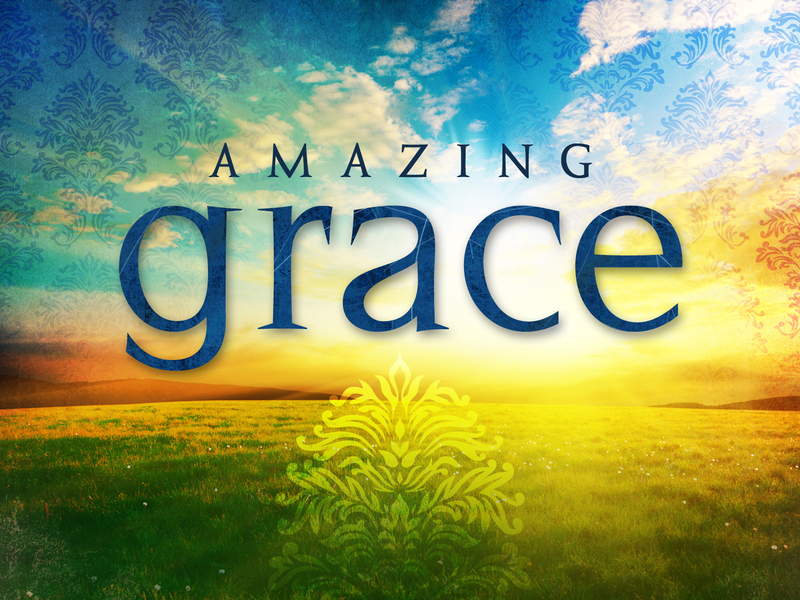 “Grace” is from the Greek [χαρις-charis] and means “good-will, loving-kindness, favor; but the N.T. writers use charis pre-eminently of that kindness by which God bestows favors even upon the ill-deserving, and bids them accept of eternal salvation through Christ,” Thayer, page 666. In summary God separated Paul from birth for a good purpose as he does all children. It is up to our free will if we carry out that good purpose. Also God called Paul by his grace and loving kindness. When was God pleased with Paul? He was pleased with him when he answered the call to conversion and when he answered the call of apostleship to carry the gospel to the Gentiles. Paul was not saved before or at birth when he was separated from his mother’s womb. He styled himself “the chief of sinners.” God was not pleased with him when he was persecuting Christ and the church. How was Paul called by God’s grace? “Called” is from [καλεω-kaleo], a first aorist active participle meaning “to call; …to invite; to assume some office, of God appointing or committing an office to one” Thayer, page 321. 1. God’s grace calls us to salvation by the gospel message, “But we ought always to thank God for you, brothers loved by the Lord, because from the beginning God chose you to be saved through the sanctifying work of the Spirit and through belief in the truth. He called you to this through our gospel, that you might share in the glory of our Lord Jesus Christ” (2 Thessalonians 2:13-14). God’s grace calls us through or by the gospel message. 2. God’s grace calls us into his kingdom and glory: “For you know that we dealt with each of you as a father deals with his own children, encouraging, comforting and urging you to live lives worthy of God, who calls you into his kingdom and glory” (1 Thessalonians 2:11-12). By the gospel God’s grace calls us into the kingdom which is the church (Matthew 16:13-19). 3. God’s grace calls us to eternal life when we make the good confession like Timothy, “Fight the good fight of the faith. Take hold of the eternal life to which you were called when you made your good confession in the presence of many witnesses” (1 Timothy 6:12). 4. God’s grace calls us to eternal glory in Christ: “And the God of all grace, who called you to his eternal glory in Christ, after you have suffered a little while, will himself restore you and make you strong, firm and steadfast. To him be the power for ever and ever. Amen” (1 Peter 5:10-11). 5. God’s grace calls us into fellowship with his Son: “God, who has called you into fellowship with his Son Jesus Christ our Lord, is faithful” (1 Corinthians 1:9). 6. God’s grace calls us by the gospel into the one body—the church: “And let the peace of God rule in your hearts, to which also you were called in one body; and be thankful” (Colossians 3:15, NKJV). In summary, Galatians 1: 15-16 teaches that God was pleased (1) when Paul was born; and (2) when he was called by the wonderful grace of God to believe in Jesus Christ, the Son of God, repent of all his sins and to be baptized, and when he did to enter into the field to preach the gospel to the Gentiles. God is so pleased with all who acknowledge Christ and are baptized and then enter the worship and work he gave us to do.